I’m in the third morning of my camino, considering now what to do with such a large pack that I’ve brought for the journey. I originally brought 15 kg (22 lbs) with me, and realizing it was too much, parted with every non-essential on the eve of our walk. We sent our things by post to Santiago to be held there til we arrived. But having already done that and now given it an initial go, I am dismayed to find I still carry too much weight. This morning forces me to distinguish within those items I feel are ALL essential which ones are and which are not as I believe them to be. It is real soul work, something you cannot to decide to change but something you must be taught through toil. 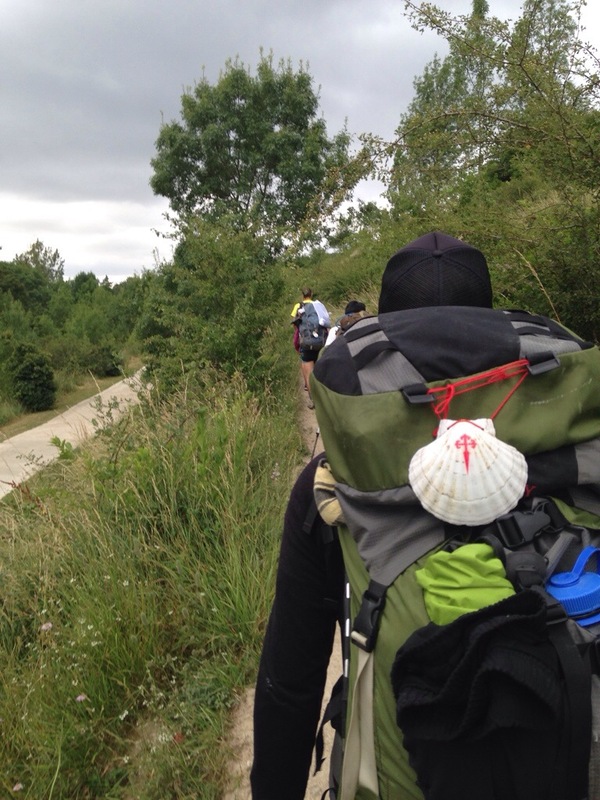 The Camino is our teacher. Her lessons at the beginning are hard but for our good. What am I holding on to that relates to my concern for personal safety and comfort? Will I accept this pilgrimage and throw myself upon the provision of God for the whole of my journey? And what projects of ambition or identity-building am I attempting in the face of the Lords intent to make me his project? If I do not part with many things I threaten the whole experience. Heavy packs make for weary feet and selfish minds. I long to travel light. I have til Logroño to decide how.